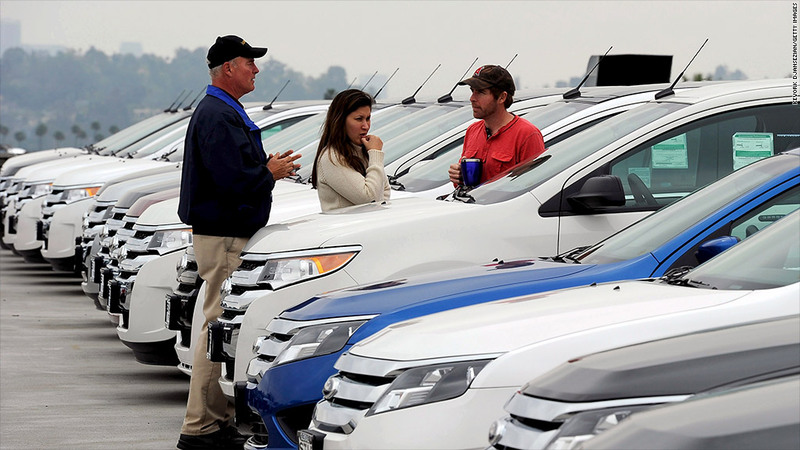 April U.S. car sales were sharply higher at GM, Ford and Chrysler Group. Major U.S. automakers all reported the best April for U.S. sales in at least five years Wednesday, giving a good start to the spring car sales season. 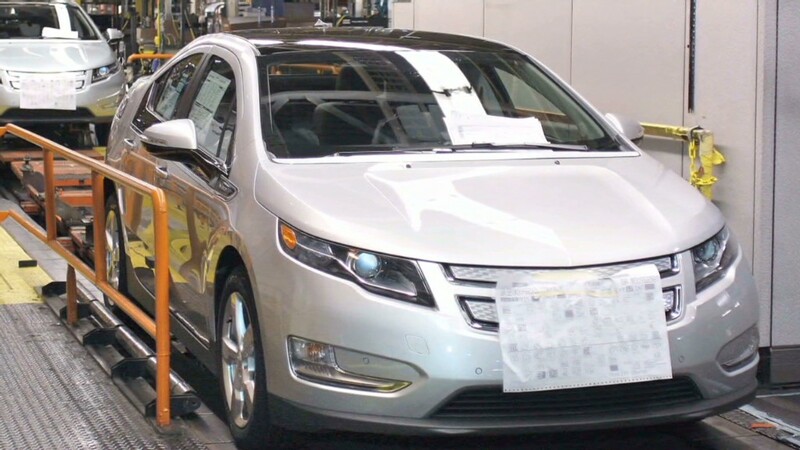 General Motors (GM) reported April sales rose 11% from the same period a year ago, roughly in line with forecasts for the month. Sales of truck models, including pickups and SUVs, were 17% higher, while crossover sales were up 14%. GM's Car sales rose only 6%. At Ford Motor (F) sales jumped 18%, a bit stronger than analysts' forecast. Cars sales led the way there, rising 21% in the period. Chrysler Group sales increased 11%, marking the 37th straight month that it reported a year-over-year gain in sales. Industry-wide sales came in at an annual rate of 14.92 million, according to sales tracker Autodata, up from 14.12 million a year ago. Toyota Motor (TM) was the only automaker among the four largest not to report a sales gain. It was 1% below year-ago levels, which was far below forecasts. Alec Gutierrez, senior analyst at Kelley Blue Book, said a large part of Toyota's problem is the loss of market shared in the midsize sedan segment, where its Camry is facing a much greater challenge from the Ford Fusion and Nissan Altima. Honda Motor (HMC) reported a 7% sales increase and Nissan (NSANY) sales jumped 23%. Even with the weak Toyota sales, industrywide U.S. sales are forecast to come in at an annual pace of more than 15 million vehicles for the sixth straight month. Before this string of strong sales, the industry had gone more than four years without reaching that benchmark. The strong U.S. sales are a contrast to Europe, where the deepening recession has caused sales to fall to a multi-decade low. "Both home prices and the stock market have remained at post-recession highs. These wealth effects have spurred consumer spending this year, including on car sales," said Lacey Plache, chief economist for Edmunds.com. "Even though fiscal issues at home and abroad continue to crop up, consumers have not been derailed." Gutierrez said financing offers, both traditional car loans and lease deals, have also become more attractive and available to car buyers, helping to drive higher sales. And he said the rebound in home building is also helping to boost pickup truck sales, since so many contractors and construction workers who rely on their trucks had put off purchases during the slump in home building.